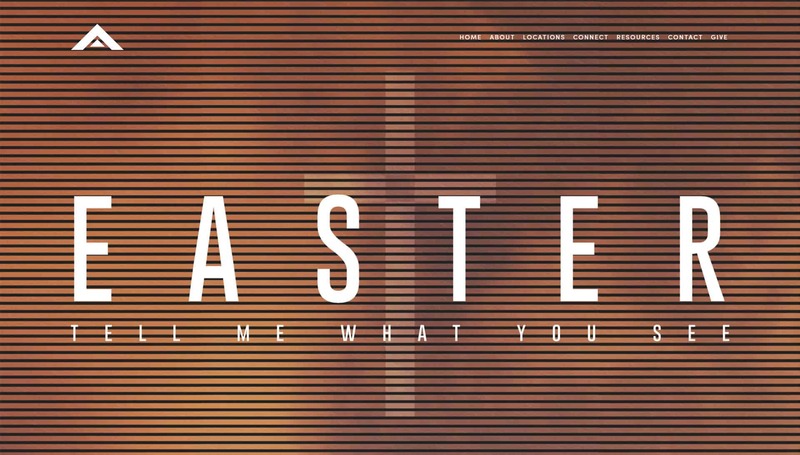 Get inspired this Easter by beautiful and effective Easter church websites. 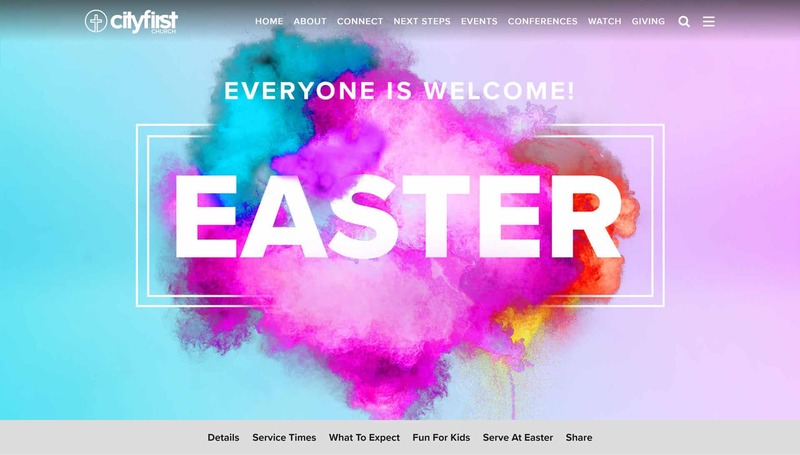 The examples we hand picked for you prove that your Easter landing page doesn't have to be very complex to be effective and help you get more people celebrate with your church. The examples below are all different. Some have exceptional videos and others beautiful graphic design. 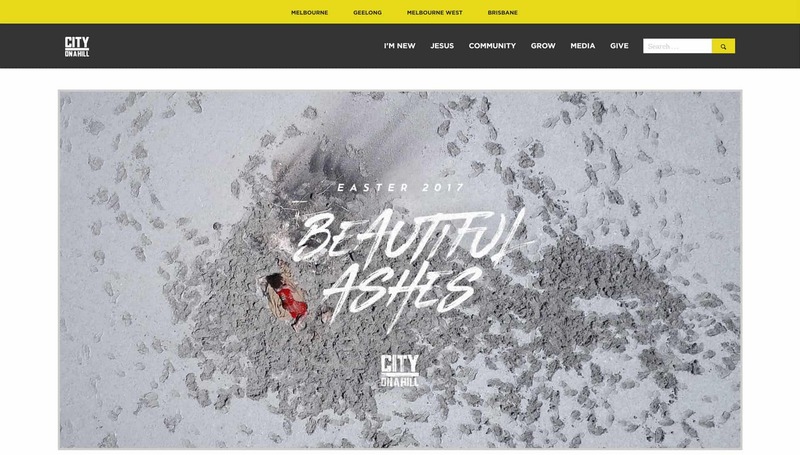 There are still some very clean and simple examples that can inspire you and help you get your church website Easter-ready. 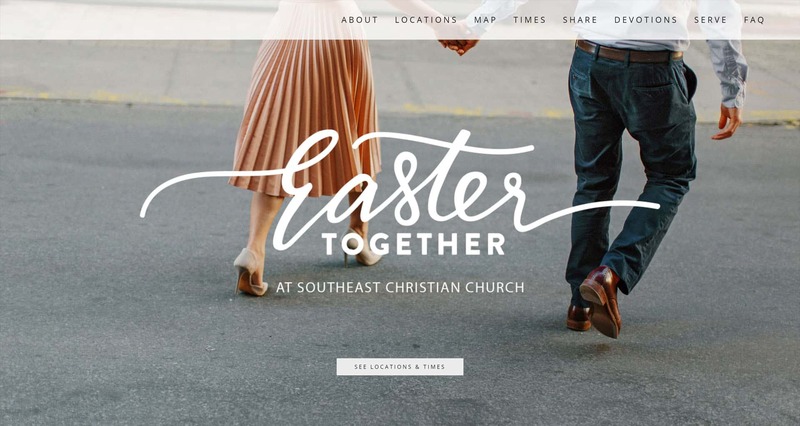 The Easter church website from Sandals Church is an amazing example of implementing SVG and animation into your church website. Not only the header is really effective visually but it also conveys the message of two sides to one story. At the bottom of the page, there is a set of social media graphics that anyone can easily use on their profiles. 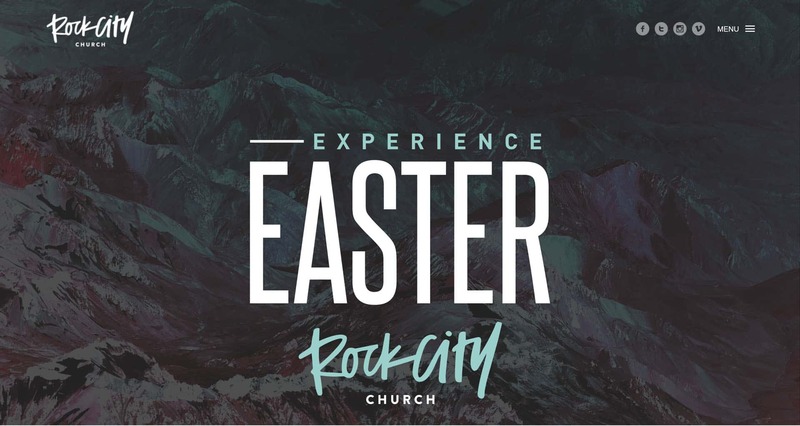 The Easter landing page from Rock City Church is really simple and provides the necessary information about Easter services. The typography in the header looks great. It is also really easy to find the page on the homepage as the “Easter” button is one of the prominent once there. Not every Easter website has to be the same. You definitely want to check out Easter landing page from Life.Church. 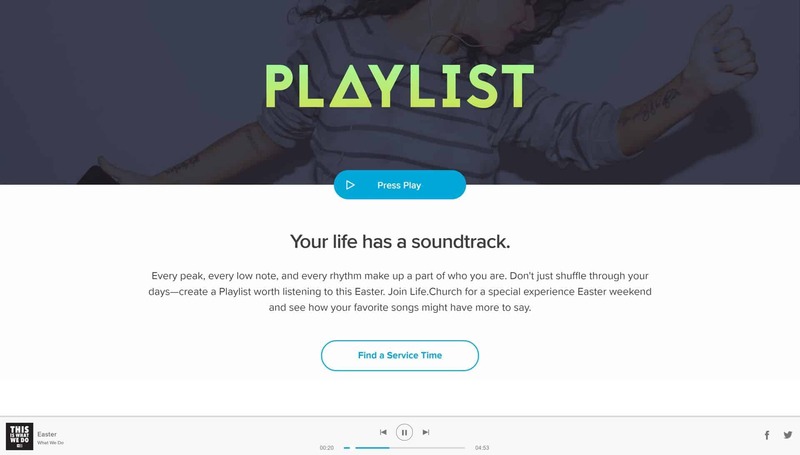 The title says that “Your life has a soundtrack” and there is a set of 7 songs taking us through the story of Easter provided! The sharing buttons work great. The landing video illustrates the idea of spending Easter together really effectively. This landing page has everything that’s needed starting with locations and times, FAQ, devotionals, and graphics to share on social media. The colorful text looks really cool but what we love the most is the personal invitation from the pastor and his family. Not only is it short and simple but also provides video extracts from previous Easter services which help you feel the atmosphere. 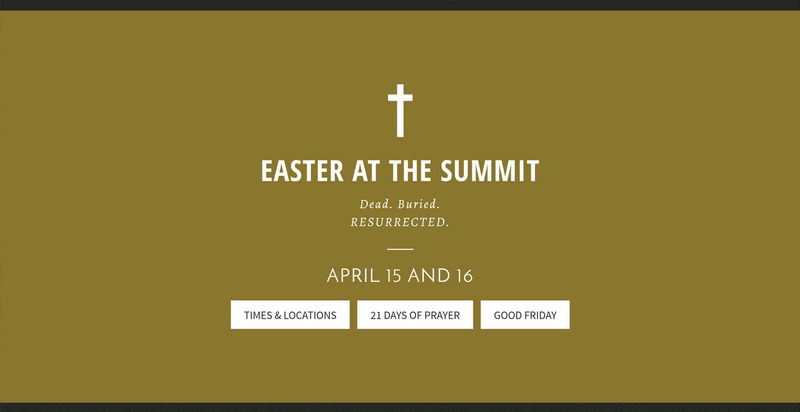 The graphic design looks great and the landing page gives all the details about both Easter and Good Friday experience times and locations. 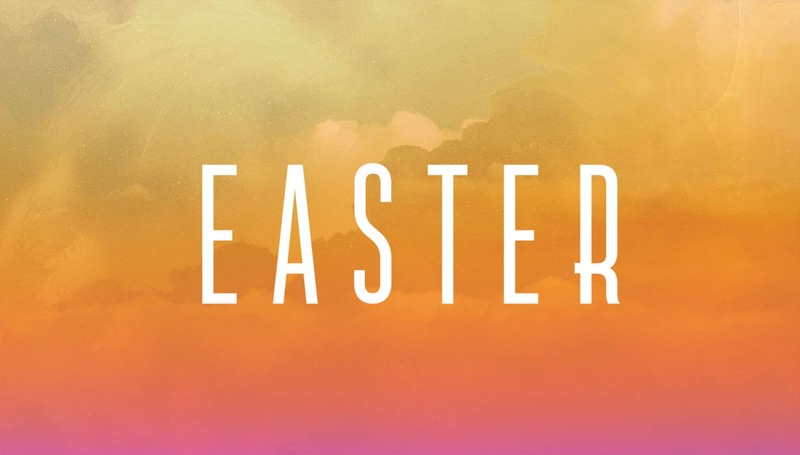 Check out a great and well-thought video that introduces Easter experience at Newspring Church. The FAQ on the landing page is limited to five basic question. You can find times and locations for different campuses really easily. The main graphics illustrates the message that will be preached by Pastor Ed Young on Easter about the ultimate sacrifice and the ultimate life. Easter is a time of hope and that’s the main message from Church On The Move this Easter. Times and locations are provided with Google Map directions which is really helpful. There is also information about the options for the kids at the time of the Easter service. The design of the Easter landing page from Church Of The Highlands is clean and beautiful. We love the color scheme that is used. There is an additional submenu for the landing page. We love the video with stories from people from the church. There is a simple form you can use to invite your friends. The landing page has nice parallax effects introducing the Easter experience and for each event, there is a simple button that adds it to your calendar. Including Easter on social media is taken to an extra level with the feature to update your social media profile picture powered by ActionSprout. 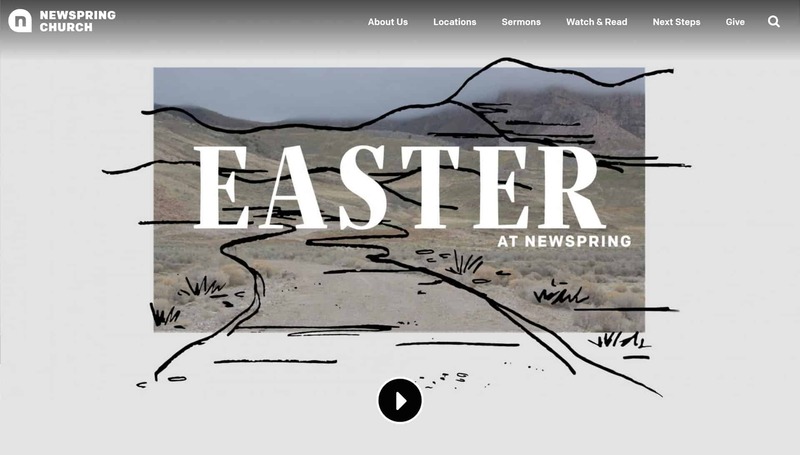 Although there isn’t any landing page on a church website that will be Easter specific, the video you have in a slider is pretty awesome! The landing page on this church website is functional with an additional menu so that you don’t need to go through the entire page. The promo video is great and colorful. The isn’t very much on the landing page but the promo video is amazing! The entire graphic is in the header on the homepage and it’s clickable so nobody who visits the church website can miss it. 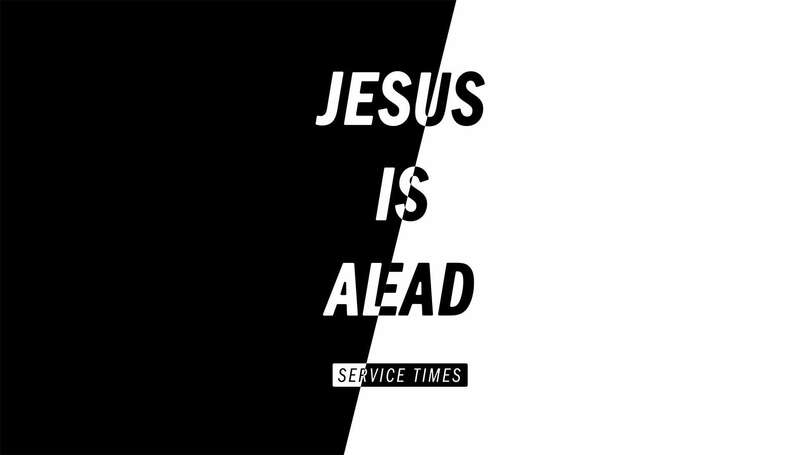 The graphic and the title play very well together on the Action Church website. There is all the necessary information provided for the visitors to join the Easter experience. 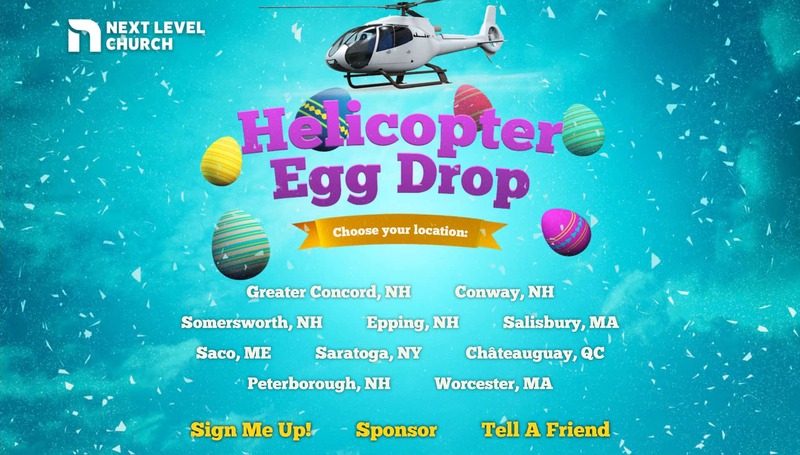 Easter Helicopter Egg Drop! Come on! Who said that your Easter graphics has to be very complex? 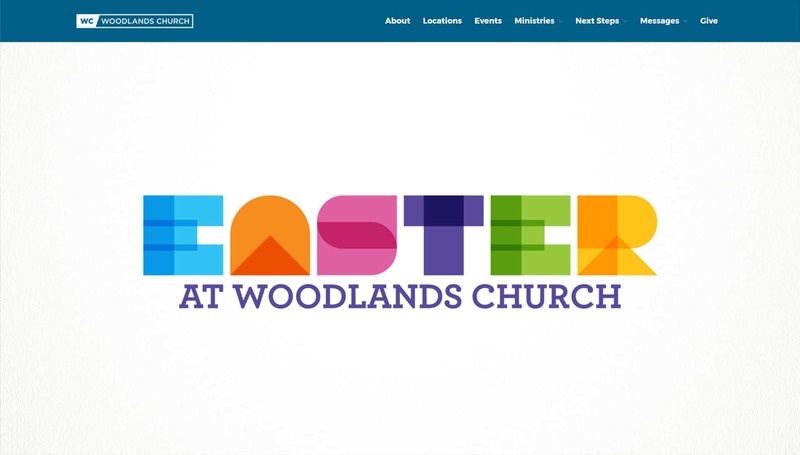 This is a fantastic example of a simple and clean Easter landing page for a church website. 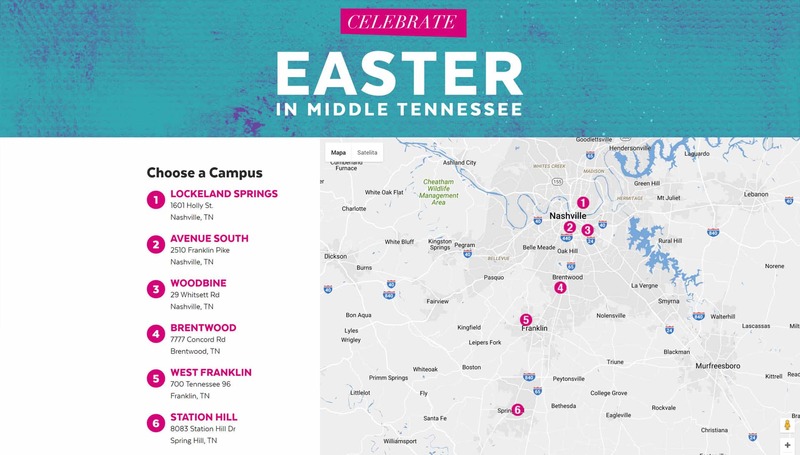 The color selection is great and we love the simple concept of celebration Easter in Middle Tennessee. You simply pick the campus and all the info is provided.